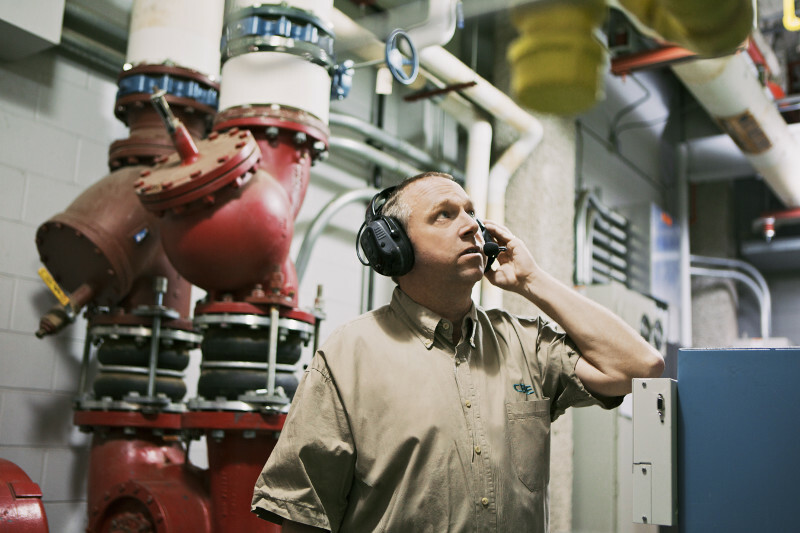 With so many options today, choosing the right two way radio headset for you and your team can be overwhelming. If, like many, you buy a product that someone else recommends, you may discover that, although it is the perfect model for your friend, it is not a comfortable fit for you. To simplify the process of wading through the many available options, it is best to first determine what it is you need out of a headset. Then, by using this criteria, you can quickly eliminate the products that just won’t do, and narrow the field to your prime choices. If you’re looking for the most reliable performance, a wireless and hands-free headset is the way to go. To get an optimal connection, it is best to use Bluetooth technology. Typical wireless headsets compatible with two way radios use 2.4GHz, but this bandwidth sees a lot of traffic from things like laptops, microwaves, cameras and baby monitors. Interference from these devices can make clear and dependable communication a serious problem, especially when you’re in a situation where communication is the key to keeping everyone safe. Bluetooth technology is proven to be more reliable. It maintains a clear connection that is not subjected to interference from a cluttered frequency band. Bluetooth is also smart technology that can inform the user if connectivity has been lost. So, for communication without interference, that leaves hands free to handle tools or operate equipment, opt for Bluetooth. Construction sites have unique communication challenges that can be solved with PTT devices. Equipment can create sounds reaching decibel levels that can damage hearing, so wearing proper ear protection is a must. However, the noise levels of construction sites often make verbal communication impossible. 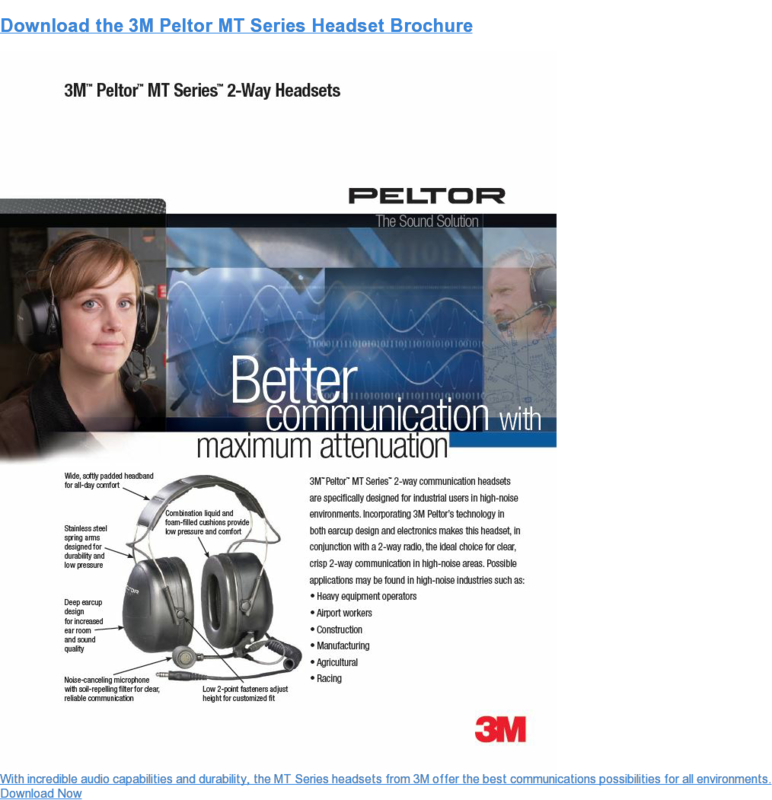 Headset designs with complete hearing protection and an integrated PTT microphone allow workers to maintain clear communication channels with one another at the touch of a button. Communication is restricted to their local group, thus eliminating unwelcome chatter and interference. For first responders, there is always the chance that a call to a fire is going to result in a two way radio headset getting drenched. Offshore oil rigs and construction sites often have fire suppression systems activate, soaking everyone within reach of the sprinklers. Construction workers are constantly exposed to fast-changing and unpredictable weather. Water resistance is a must for any headset. How long is your work shift? Consider the maximum length of time you will need to stay in contact with your team. That length of time (plus another hour or so to be safe) is how long you want a two way radio headset battery to last. To get the most out of your headsets, it is best to use rechargeable batteries. Non-rechargeable batteries have to be replaced frequently, which can get expensive over time, and they can also be a bit of a gamble. You never know whether or not you have a full charge or exactly how much time you have left. By beginning every shift with a freshly charged radio headset, you know you have full battery life, providing protection and safety until you are off the clock. The perfect fit for a headset is the one that results in it being used consistently and effectively. That is why headsets come in a variety of styles to suit any need. However, when a two way radio headset is considered a piece of safety equipment, it is usually paired with a safety helmet. Headgear under a helmet can be uncomfortable, but more importantly, can affect the helmet’s proper positioning. This reduces the safety and effectiveness of the hard hat. However, this problem can be solved with designs that go behind the head or are attached to the hard hat itself. Also, consider the length of time a radio headset will be worn. For a proper fit, quality padding in key, pressure-sensitive areas should provide hours of comfort. And, most importantly, it must be CSA compliant for absolute assurance of meeting safety guidelines. For more information on two way radio communication technology and hearing protection, please contact us. Our experts can answer your questions and assist in finding the perfect option for your individual needs.